Using one of the best free people finders can help you get information to stay informed or help you reestablish contact with someone you've lost touch with. While there are numerous people finders online today, they aren't all equal. See what you can expect with some of the most popular and highly rated people search websites. Whitepages.com is a large digital identity database that receives more than 50 million unique visitors each month. Its basic services are 100 percent free. For the best search results, use the person's full name, city, and state or zip code. However, the database does allow you to search even if you have more limited information. You can search by name, last name only, or name and state. The free information you'll receive includes names, including middle initials, landline phone numbers, full street addresses, and in many cases previous addresses and primary family member. You do not have to sign up for an account or give your email address to use the basic free people finder on Whitepages.com. The company is a member of the Better Business Bureau (BBB) and has an A- rating. It has been recommended by a variety of websites and bloggers, including The Windows Club, a digital and tech review, that says Whitepages.com is helpful in terms of finding basic details about a person. For more comprehensive information, Whitepages.com does offer a premium service that starts at about $5 with a limit of 20 lookups per month. Another popular option is Pipl. This free search tool is unique in that it allows you to search with only one piece of information: name, email address, user name, or phone number. Location is optional when conducting a search. It is free, and you don't have to sign up for an account or enter your email address or other identifying information when using Pipl. The results you get will vary depending on how much information you have for the search criteria. If you enter a username, for example, you will get a list of possible results for that username from various public profiles, such as eBay, Flickr. LinkedIn, Twitter, Facebook, and more. If you have the landline phone number, results may include the street address and associated or previous addresses, a list of associated people (which may be family members), additional names such as maiden names, and age. The more information that is publicly available on social media or other profiles, the more information you are likely to find here, especially if you are using a username or email address for your search. While using the website is totally free, there are a number of sponsored results that appear with the search results and if you are doing multiple searches, you will have to verify you are human. Pipl has been recommended on variety of blogs and websites, including Beebom's top 10 list of people search engines, where it's praised for its accuracy of results and ability to be used in most countries. Intelius offers a basic people search for free, and you are not required to sign up, create an account, or provide personal information. You have the option to look up a person by name (first name and middle initial are optional) or by reverse phone search. When using a name search, you can narrow results by location if you know it (city and state). The information Intelius provides is based on public record searches. 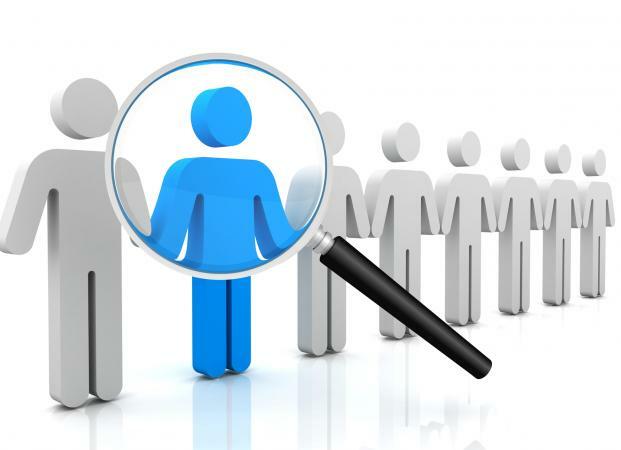 A basic free search may yield current and previous cities of residence, companies where the person has worked, names of people he or she is related to, age, and high schools and/or colleges where the individual has studied. Additional information is available for an extra cost, but the free search shows via a check mark if date of birth, phone number, and current address are available with the fee. This starts at just under a dollar, and then has tiers for more advance information. A people plus search is just under $7 and provides social networks and email addresses, and a background check is about $40 (provides a criminal check as well as information on liens, bankruptcies, lawsuits, and marriages or divorces). They also offer monthly membership plans for advanced searches. Intelius is a BBB accredited business with an A+ rating, and is a member of the Online Trust Alliance, an internet society initiative dedicated to promote trustworthy business practices. While the customer review rating on the BBB is 98 percent positive, there tend to be concerns regarding the paid services in terms of accuracy and cost. Reviews on Consumer Affairs average three out of five stars. It is recommended by The eBusiness Guide as one of the top 15 free people finders and is also listed as one of the best eight people search engines according to Social Positives, a website dedicated to information on social media and technology. TruePeopleSearch.com offers completely free information people searches to the general public. You can search by name or do reverse phone or reverse address search for someone. If you are using the name option, you can also input the city, state, or zip code if you know them to narrow your results. The initial search interface is simple and clean, but there are on-page ads once you click to get your search results. Free results may include name, landline phone number, age, and associated names such as a maiden name. In addition, this people finder stands out because it includes full lists of complete previous addresses, and it may include lengthy lists of possible relatives and even possible associates. While the website itself does not offer memberships or additional paid results, you will find sponsored results for background checks on the results page. This website has been recommended by some bloggers and reviewers and was listed as one the best 12 websites to find people online according to an article on Makes Use Of (MUO). MUO noted the website offered in-depth results - although the best results appeared with both name and location. Although US Search offers background checks for a fee like Intelius, they also offer free people searches. To do a search, a last name is required, although for best results a last name and state are suggested. You can include city and state if you know both. You can also do reverse searches by phone number and address (you need to have a complete address if conducting an address search). Once you put in your search criteria, you'll get results which may include full names, current and previous cities and states of residence, companies currently and previously worked at, and possible relatives. To get full addresses, phone numbers, and dates of birth, you will need to pay an additional fee. Expanded search fees start at under $3 and go up to about $40 for a background check. One of the unique aspects of the free people search on this website is you can narrow your results according to an alias the person might have used, age, and previous or current address. You can even narrow results with the name of a person's relative. This website has a B+ rating from the BBB, although it's not accredited. It is listed as one of the top three people search engines according to Top Consumer Reviews and was listed as one of the best background check services according to A Secure Life. You don't have to sign up for an account to get preliminary basic search results at BeenVerified. You can search by name or name and location, phone number, email, or property address. It offers prompts to help you narrow or help your search, such as adding a city, middle initial, or approximate age. Although the basic search is completely free, it is not as comprehensive as some of the other websites. You can find possible past and current cities and states, previous or associated names, age, and relatives. To obtain any information beyond that, Been Verified does require you to sign up for an account and pay a subscription fee. They offer one month memberships with unlimited reports for less than $30 a month, and a discounted rate of less than $20 a month for unlimited reports when you sign up for a three-month subscription. Been Verified is listed as a top source according to The eBusiness Guide, and according to Top Ten Reviews, scores above average in terms of accuracy. At Find People Search, you can look up information by name, with may optional additional search fields to narrow results, including location, approximate age, maiden name, phone number, date of birth, and social security number. Like many identity search tools, the more information you have the better. Including seemingly minor details like a middle initial can help enhance search results. No email or account sign ups are required. The free information you can find on this site can include past and present addresses (although you may find some duplicates in the address section), age, landline phone number and phone service company, and a substantial list of possible relatives or associated persons. There is also a map view to show address locations with this search tool. For additional information, you can sign up for a personal or business subscription; personal subscriptions are less than $20 for three months and business subscriptions are less than $50 for three months. With an average rating of 4.3 stars on Facebook, this is a well-respected site among most users. Those who have visited the site appreciate it is actually free and are fairly satisfied with the accuracy of the results. One of the more recent identity search tools available, That's Them, has fewer reviews and ratings than some of the other sites, but they offer free basic searches that include age range, landline phone number, and address. In addition, they offer some other information that's not seen on many of the other sites, including general financial information, the person's occupation, education level, and whether or not he or she is a pet owner. You can search by last name only but for best results, search by the full name and as much of the location information as possible. Other ways you can search are by email, reverse phone lookup, or reverse address search. There is also an expanded search page. This website was mentioned by LifeWire as one of the top search tools for email address searches. Although it's not marketed as a people search engine, LinkedIn can be extremely useful to finding people for free. The website does require you to create an account to join and look for connections you may know, but it's completely free. Since this website was created as a venue for professional networking, you'll find many people include a substantial amount of detail, including work histories, locations, and more. Using the search bar is straightforward and easy, but you can also browse by alumni and the LinkedIn suggestions of people you may know. You can also import your email addresses to help find people. If you choose to search by the person's name, you also have the option of using additional filters, such as company, to help you find who you are looking for. LinkedIn gets top marks from places like PC Magazine, who call it 'the best online professional network there is.' Time.com also praises the site, saying that's it's one of the most underrated search engines online. To get the best results, according to Time.com, make sure to use as many additional pieces of information as you can when searching to help narrow your results - consider email addresses, colleges, employment, location, job title, and suggestions to help you find the person you are looking for. Using Facebook to track people down is another popular and free way to locate people. You can search for people with a basic name search without having an account, but you'll be restricted in terms of what information you can see without an account. Information is also restricted based on the person's profile settings. If you do have an account, you can easily search for people you know and use filters including hometown, current city, high school or college, mutual friends, and employers. Facebook no longer offers graph search tools that were considered invasive, but there are still plenty of filters you can use to find people you are looking for. The Discover People feature, in fact, is an addition to the site that helps facilitate new connections, taking it to another level in terms of finding people. According to Sprout Social, Facebook averages more than two billion active users each day, so it's easy to see why this could be a go-to source for finding people. Tech Advisor also mentions the ease of using different searches to track down old friends or acquaintances, so it's definitely a contender when it comes to finding someone you may be searching for.